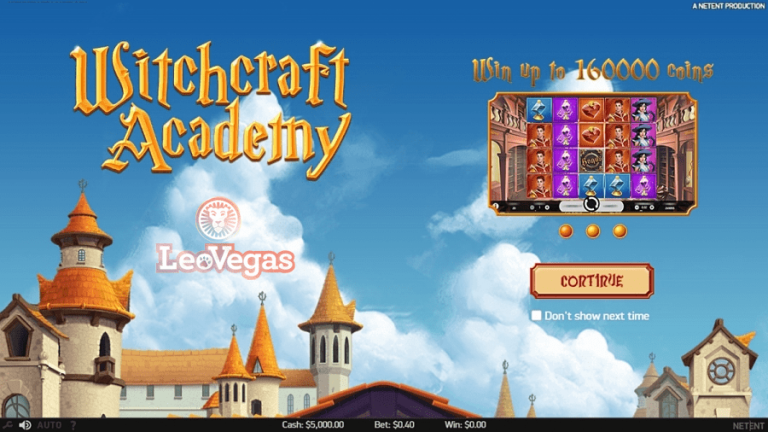 LeoVegas is launching yet another exclusive slot from NetEnt, namely “Witchcraft Academy”, going live tonight at 21:00 CET. Our very own LetsGiveItASpin will be streaming the launch this evening, and we invite you to join us for the live review and first impressions. 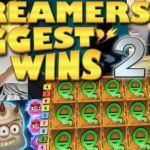 Come get your free spins! 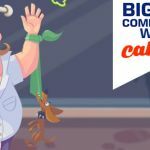 We have been able to procure an exclusive 25x free spins (worth €0.60 or equivalent each) offer to test out the game for all players signed up under LetsGiveItASpin / Casinogrounds. 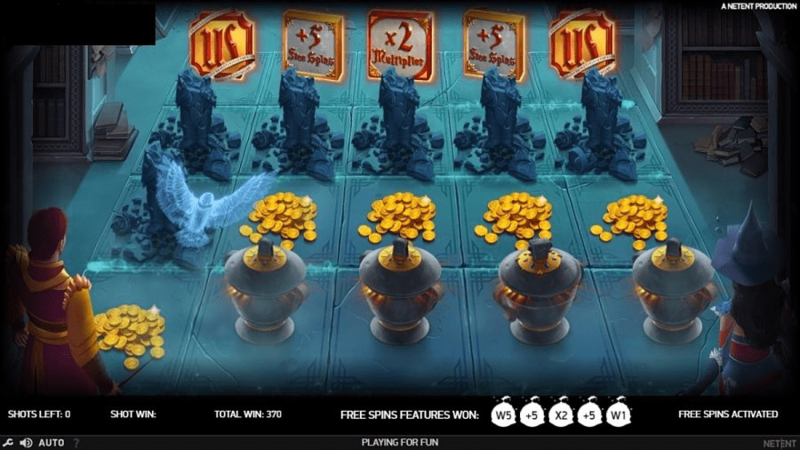 If you have made a real money deposit the last 30 days and check out LetsGiveItASpin twitch stream this evening, you will find your free spins available in “Witchcraft Academy”. *Please note you need to have selected “Yes” to bonuses enabled under settings, and your account can not be self excluded to receive this promotion. If you are already logged into Leovegas before 21:00 you would need to log out and back in to receive the promotion. Can’t play Netent games you say? Well no problem, we got you sorted as well. LeoVegas is giving an Instant Bonus worth $20 CAD with a 30x wagering requirement so you can take part of this launch with the rest of us. Witchcraft academy is a 5 reel 9 line video slot packed with special features, and a pretty high variance, including bonus games, free spins and wilds. The bonus game is very much linked to the Scatters, and as soon as you get 3 or more symbols on the reels you will be taken to the Elemental Dungeon bonus game. Here you can win additional symbols or special features ranging from Wilds covering whole wheels, extra free spins and multipliers. During the bonus game, you will be presented with pots filled with gold, and armored guards looking over the extra features. -Offer only available for existing Real Money players at LeoVegas, who has made a Real Money deposit the last 30 days. -You need to have selected “Yes” to bonuses enabled under settings, and can not be self excluded to receive this promotion. If you are already logged into LeovVgas before 21:00 you would need to log out and back in to receive the promotion. 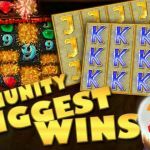 -For markets excluded from Netent games, the offer will be an Instant Bonus worth $20 CAD, with a wagering requirement of 30x bonus amount.